So the battle cry has been raised. statistics and projections validated by algorithms. But who cares? This too shall pass, as the Enlightened One said. What shall continue to torment us is the state of the economy and the government’s inability to safeguard the rule of law. Innocent citizens—even those belonging to the upper strata of society—are no longer immune. 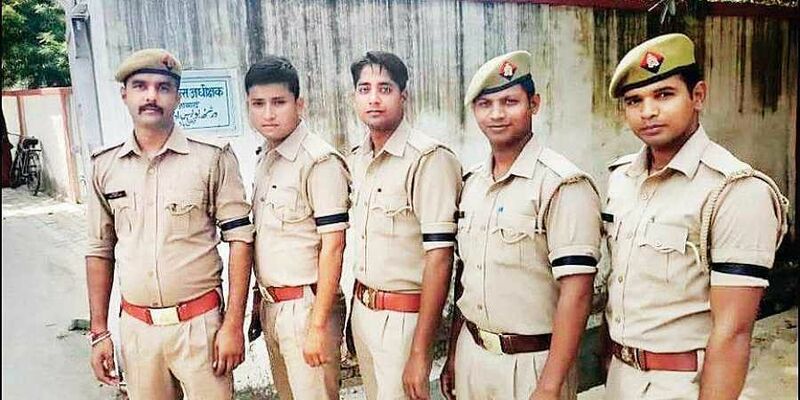 Slaughter of an Apple executive by rogue policemen in Uttar Pradesh is the latest example of the dangerous and almost irreversible slide towards the precipice. What was disgusting is the effort of the state government to ‘protect’ the guilty. The original FIR filed and circulated in social media was against an unknown person with unknown address. As if this wasn’t enough to rub salt in the wounds, it took days to suspend fellow cops who were stoutly defending their colleague. The accused may have been arrested and dismissed but the suspicion persists that the case has already been weakened. UP isn’t the only state where the scourge non-judicial execution is spreading. Those who enjoy political protection are busy dispensing vigilante justice without donning a khaki uniform in Haryana, Rajasthan, West Bengal, Kerala—to list just a few. ‘Misguided’ youth are forever on rampage in Jammu and Kashmir. Murderous intolerance is becoming the badge of honour for those who perpetrate ‘honour killings’. It’s not just religious prejudice; hatred against ‘others’ is infectious. Those who eat and dress differently, talk in a different tongue, are fair game in what for all practical purpose has been declared open season. Hubris seems to be playing havoc both with the BJP and the Congress. The Congress doesn’t seem to learn any lessons from its repeated humiliating defeats. Mayawati and Akhilesh Yadav both have been insultingly stood up and have bluntly declared that they will plough a lonely furrow in forthcoming elections. Not a happy start for the ‘Mahagathbandhan’. Electoral politics in India is rivalling One Day Cricket as spectator sport. No one is bothered about ideology manifestoes. It’s only individuals who matter, who strut the stage casting shadows larger than life without realising that they are puppets whose string are pulled by someone who remains prisoner of the past. Forget about a vision for future, those who claim to be ‘Supremos’ in their outfit fail to register the urgency of the present moment. Time to return to economy. The finance minister is happy floundering from one mishap of his own making to another. His standard response to any question is a mixture of a smirk, smile and grimace accompanying a cryptic wisecrack. But why complain? Doesn’t everyone know that Economics is a dismal science and Law has been compared to a braying beast of burden? One day the petrol prices are hiked up the other day adjustments are made after the bully is made to blink. The banks are pilloried for their NPAs. It’s only a matter of time before people of India will begin asking questions about the ‘Navratna’ in Prime Minister Narendra Modi’s Cabinet. As a matter of fact, loud whispers are afloat that the count of crown jewels is fewer than nine. The PM is carrying too heavy a load on his shoulders. Those who want to keep the dynasts at bay seem to rely blindly on his charisma.No one, except the contenders, is waiting with bated breath for the battle of the ballot that shall have been fought, won and lost by mid-December. Then speculation about 2019 Lok Sabha elections will divert us from all pending critical issues—rule of law, health and education, employment and inflation, and of course, the violation of Fundamental Rights enshrined in the Constitution. The title of a South African writer’s book resonates in mind’s ear: Cry, the Beloved Country.